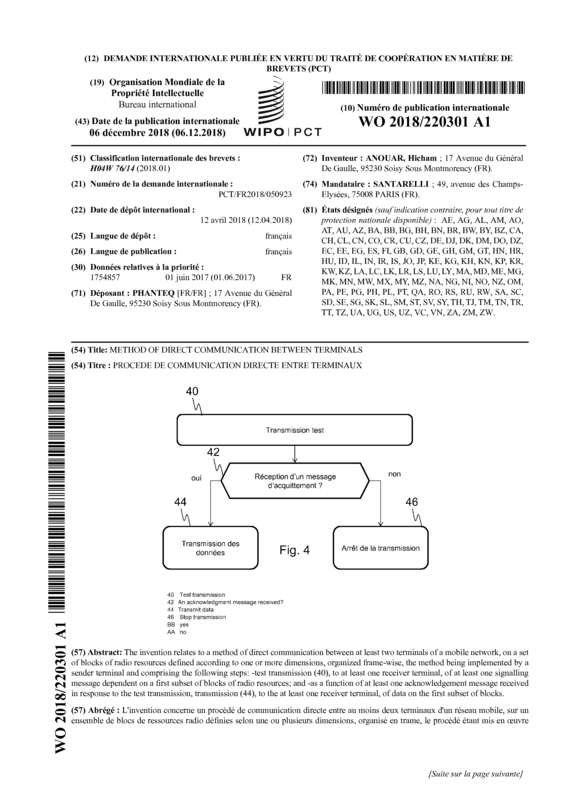 The patent is about a radio channel access method applicable to both 3GPP LTE/5G D2D/V2V communications and IEEE 802.11 standards. 3GPP D2D and V2V networks, IEEE WLANs, Public safety networks, Tactical wireless ad hoc networks, M2M and IoT networks. Page created at 2019-04-21 4:46:21, Patent Auction Time.